Many advertisers prefer opting for Google AdWords as their major pay per click network. However, in addition to using AdWords for drawing paid traffic to your site, it can also be used hand in hand with SEO. The following examples are just some ideas you can use AdWords for SEO. One integral feature of AdWords for SEO is to research relevant keywords that can be used for your site. Keywords are the basis of any successful SEO campaign and even if you’re an expert in the field, doing proper research is imperative as you may miss certain key phrases. It goes without saying that in order to achieve high rankings, one must know the keywords that their target audience is searching for in order to succeed. To begin finding out what users are searching for, you’ll need a keyword research tool. While there may be many free and paid tools on the Web, going with Google AdWords Keyword Tool is your safest bet. Within its simple interface, lies a robust program that can help elevate your campaign. You may want to rank well with all the suggested keywords, but it’s best to pinpoint your focus on a select few instead. The idea is to go with keywords that are generally easy to optimize and yet have suitable search volumes. These would be keywords that have the least competition on Google. Start off by searching for your short-listed keywords on Google (one at a time). It is important to search for exact phrases of your keywords, so do surround them with double quotes for more accuracy. Do take note that keywords with higher ratios are easier to optimize. You can now initiate a SEO campaign build around those keywords, but as you’ll see next, it could be wiser to start an AdWords campaign instead. 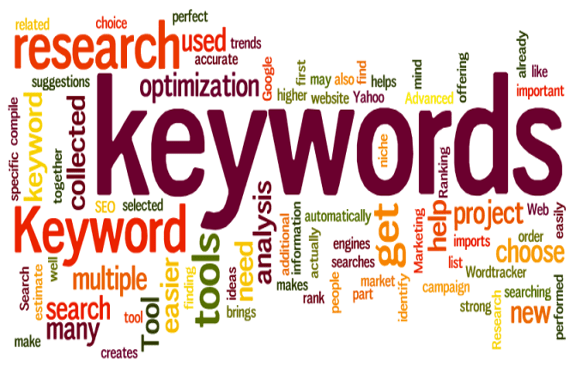 After you have selected your keywords, it is important to see if they really work for you – i.e. if they convert efficiently. No matter how precise you’ve been in selecting them, if you don’t test the waters to gauge its effectiveness, it could be for naught. You can pick lucrative keywords with high search volumes and low levels of competition yet come up short. Take this site for instance, we could try optimizing for the keyword, “search engine optimization”. It might take us a year or two with a ton of effort to reach the first page on Google for “search engine optimization”but that still isn’t a guarantee. However, let’s assume for a minute that the opposite happens – we manage to top Google for “search engine optimization” after a year’s effort of hard work. To our dismay, even the first place for “search engine optimization” on Google doesn’t yield the expected results because the bounce rate for this particular keyword turned out to be exceptionally high. A lot of users who are trying to reach us via “search engine optimization” may not be getting what they came searching for. Instead, less popular keywords, such as “SEO Tips” or “SEO Guidelines” that have lower bounce rates could actually perform better than “search engine optimization”. The results may not be surprising but the paid price is. If we had launched a proper AdWords campaign, it would have saved us from a whole lot of time and effort. We could have only spent $20-50 on AdWords for “search engine optimization” and it would have only took us a week or less to figure out that the bounce rate for this keyword is very high and scupper it immediately. The money spent on AdWords would have spared us from our hard yet ultimately wasted efforts. In addition to keyword research, AdWords is a viable tool for obtaining a better Click Through Rate (CTR) with your current rankings. You may rank well for a particular keyword, get a ton of traffic, yet be unable to monetize this traffic because your CTR is low. The reasons for this could vary but improper title and description are all very possible. AdWords can also help you obtain better CTR with your existing rankings. For instance, if you run an AdWords campaign and see that its conversion / performance works out well, you might want to experiment with changing the ad title and description until you have achieve the maximum CTR for those keywords. While it may take you a couple of tries until you find that winning combination, doing so could even lower your CTR in the process – just remember that every bit goes a long way. Another benefit of using AdWords for SEO is geotargeting. If you bid on traffic from many different geographical locations, you can use Google Analytics to compare how different locations convert. It is very common to have different results for the same keyword across countries. When you start using Google Analytics, you can observe which countries are doing best and make a more concerted effort in them. For example, you can create local pages for these countries or target geo-specific keywords that share high conversion rates. AdWords is not only a very reliable tool for advertisers, other users are also finding it to be highly beneficial for their websites. For many publishers and SEO experts in the field, AdWords remains an invaluable tool because even a moderate campaign can offer insights and save you time to optimize for words, giving more leeway to spend on fine-tuning.